We're on a mission to help the world become more colourful. It's not about 'just paint' though – it's much more than that. It's about creating products that allow individuals to unleash their potential and their creativity. 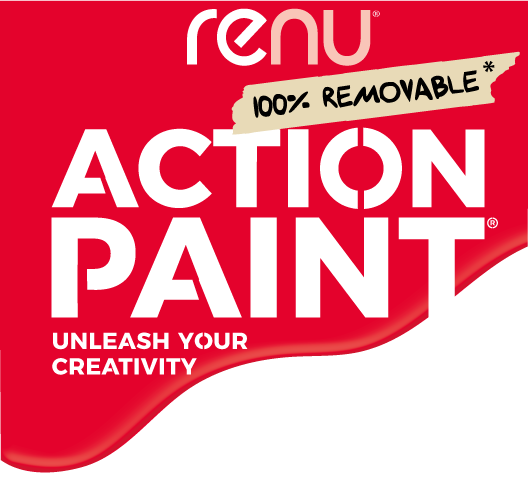 We want to make painting much more fun by offering an undo option. Our vision for RENU is big. Our goal is to grow it into one of the most awesome and meaningful technology and specialist paint companies in the world. It's early days, but we hope that someday a lot of people all over the world won't know what they did without it. We're also beginning to explore commercial and industrial uses for our underlying platform technology.